When designing a full traction differential replacement for the TRX-4 we wanted to make something indestructible, simple and cost effective. 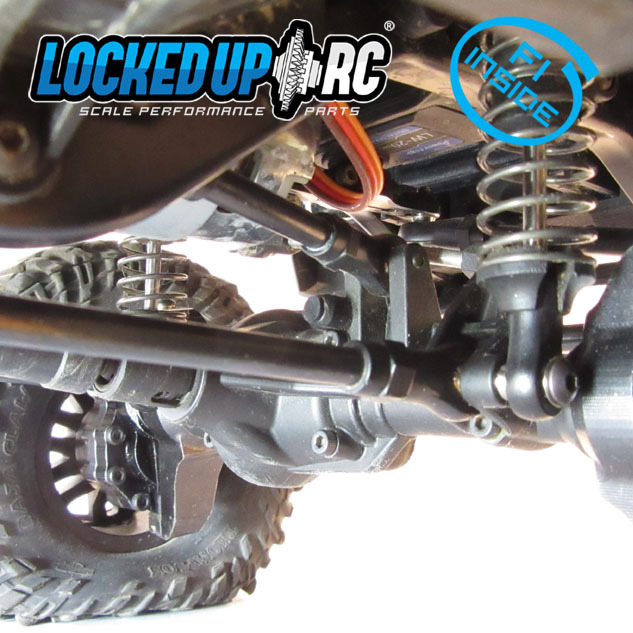 We also wanted a reasonable weight that still uses 3 bearings and of course offering a very, VERY tight fit to your axle shafts to eliminate slop. Lastly, we wanted "In Phase" outputs which can help to minimize drive train harmonics in CVD applications. Keeping in mind all of those things we have come up with our latest creation ... the "FI Spool - TRX-4". This hardened steel axle spool is great for and TRX-4 that needs 100% traction, 100% of the time. These 1.34 oz spools are sure to get you through the toughest trails and have stood up to our worst abuse. They are "F*****g Indestructible ... hence "FI". 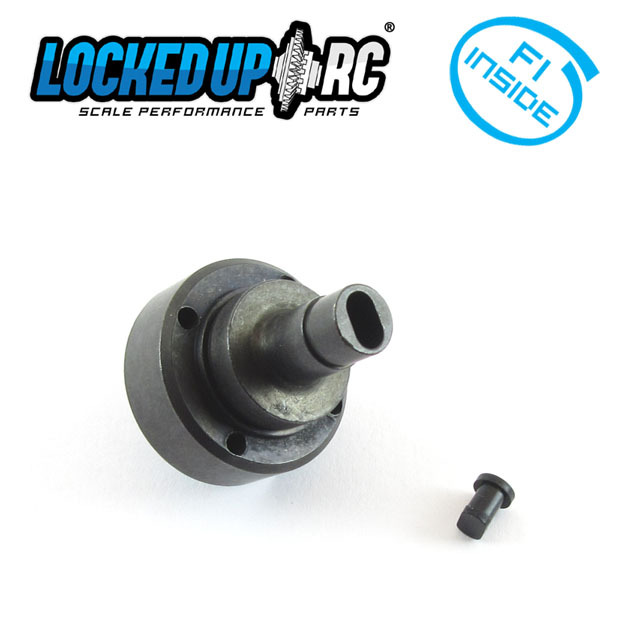 Replace wimpy pot metal "lockers" and plastic differential assembly with our one piece "FI Spool" and prepare to conquer all! These spools are designed to offer a tight fit with stock and aftermarket axle shafts. Our tests have shown that most stock shafts only require a hair of "love" for a perfect fit ... usually just a matter of forcing them in and out a few times. Other shafts (like our OT shafts) may require a bit of polishing to slide into the spool. This "fitting" process is due to the variances among manufacturer measurements, tolerances, etc. This is the only way we are able to make these spools work with no slop for all the various shafts out there. Because of this, we suggest you test fit your axle shafts outside of the axle prior to final assembly. Spools are sold individually and include a press in silicone plug so you can remove your shift cable. We do suggest using our Copper Anti Sieze Grease during installation. This helps with shaft removal after extended periods of use. 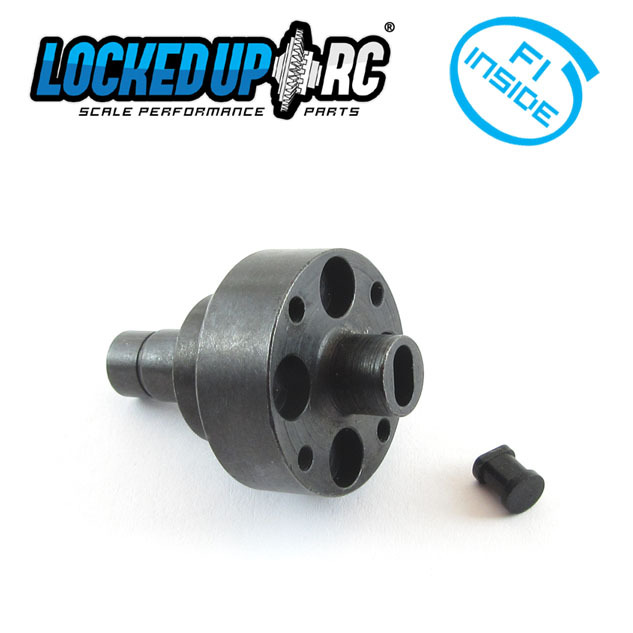 We also suggest our 5mm/10mm Shim Kit to remove excessive side to side play in your installation. 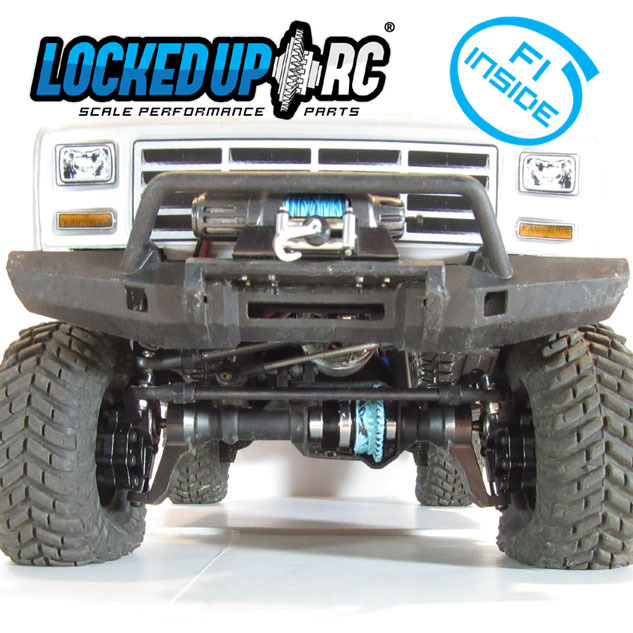 If you are looking for a great set of shafts to go with your FI spool, we now offer our OT Shafts for TRX-4 rear axles.